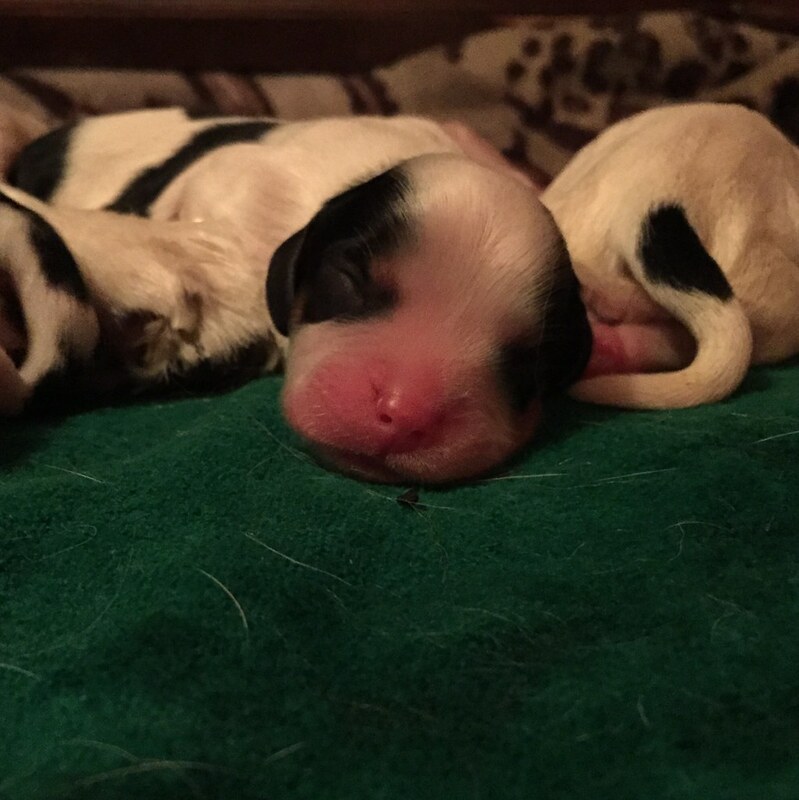 These puppies are sold, enjoy watching them grow through pictures. 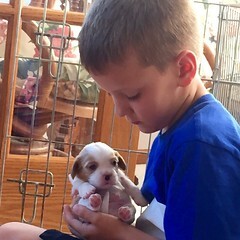 Mallory showing us a pup. 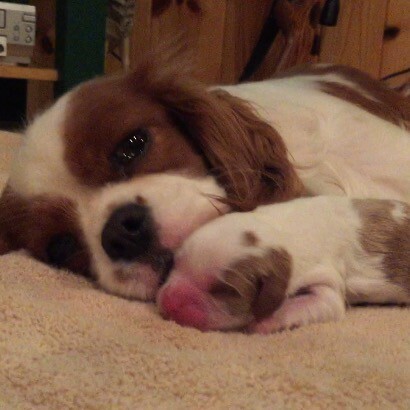 Momma and Dillon talk about the baby. 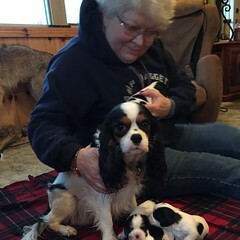 Dylan and Zoey with their new mom and dad. 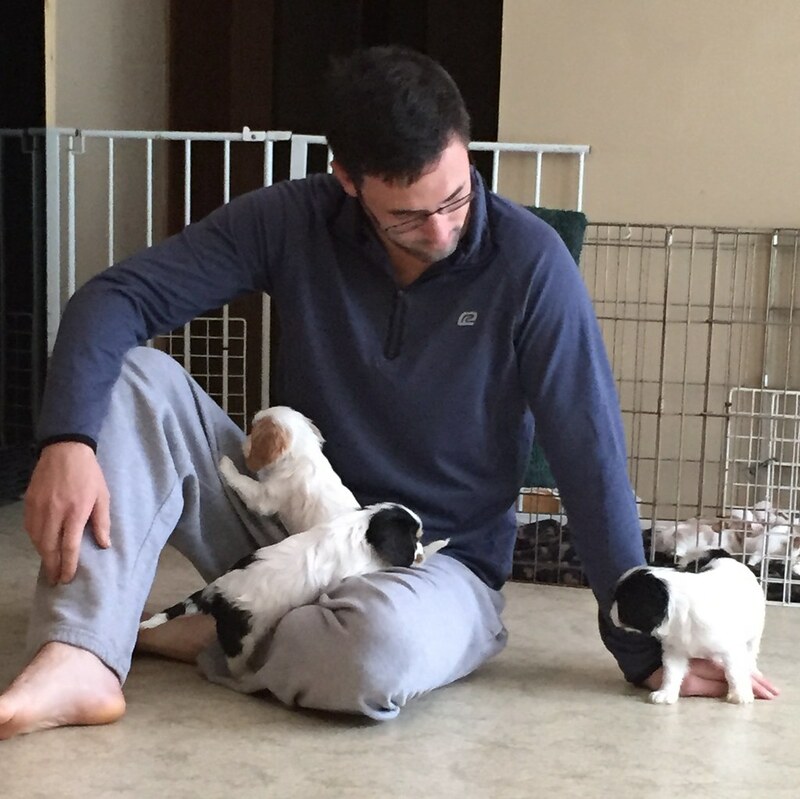 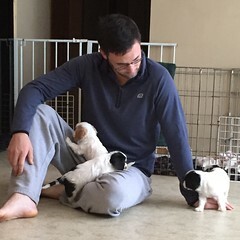 Josh's time with the pups. 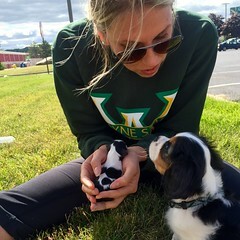 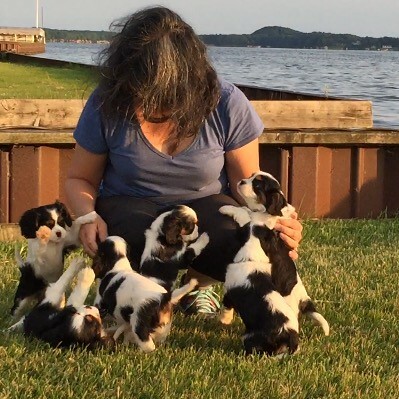 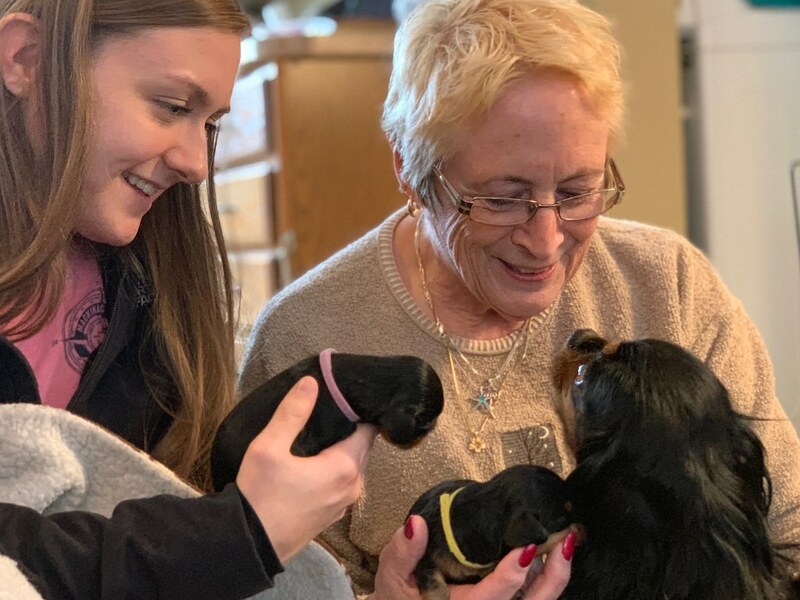 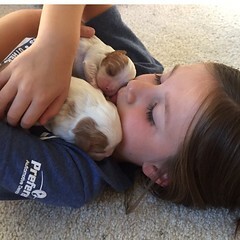 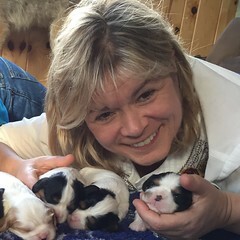 Mary Beth visits the puppies. 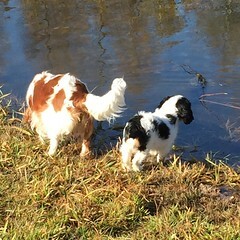 Our pups enjoy the pond too! We are looking forward to our litters!!! 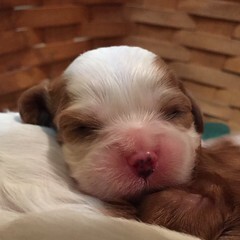 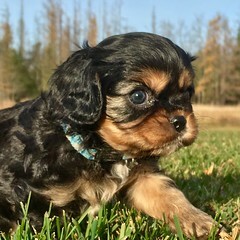 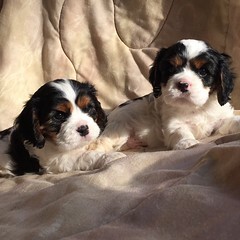 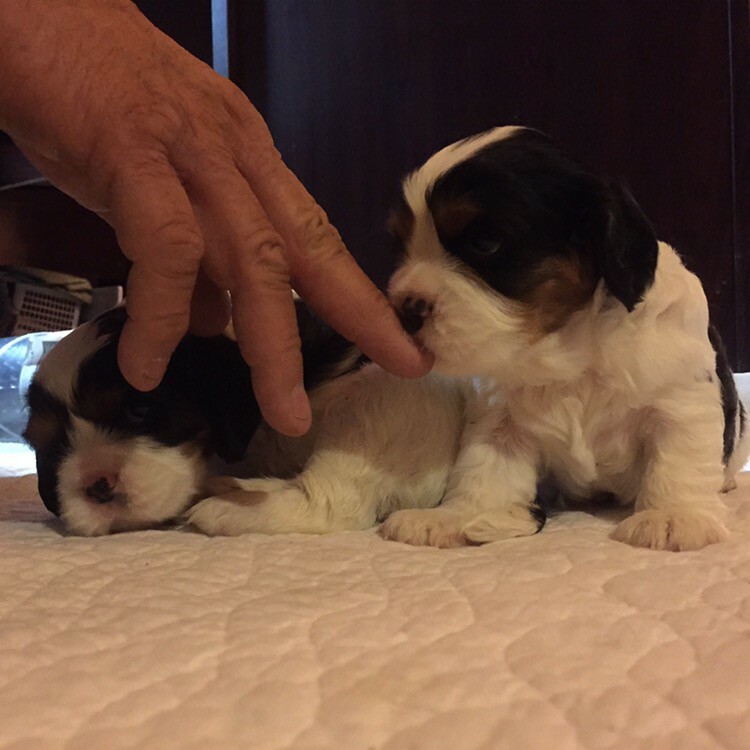 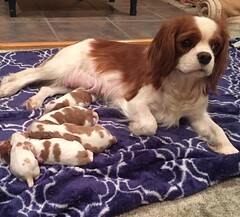 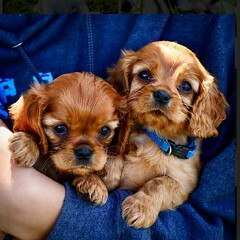 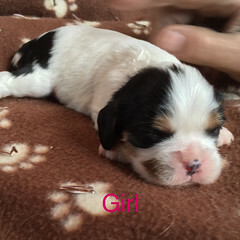 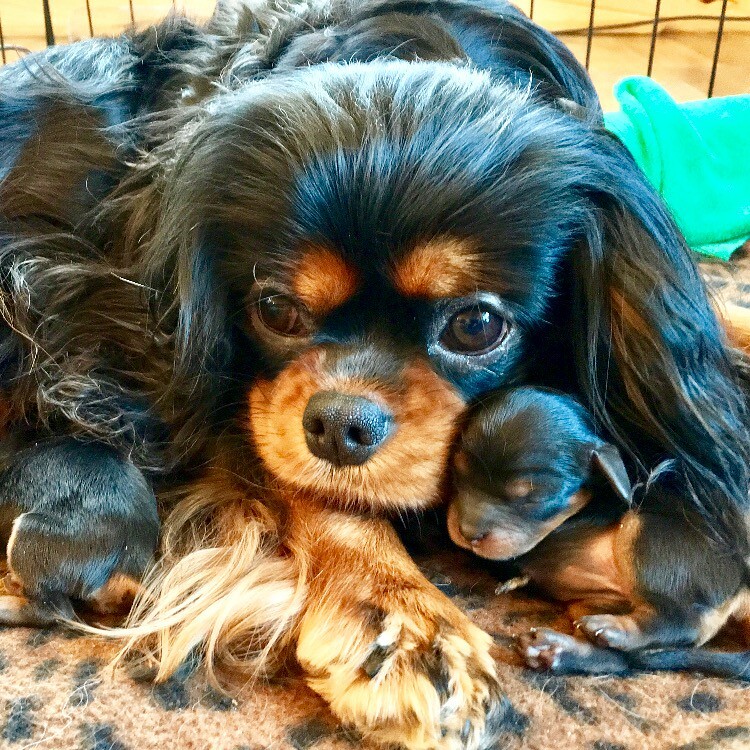 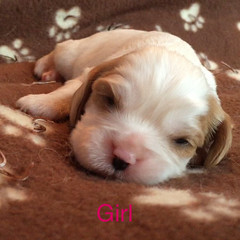 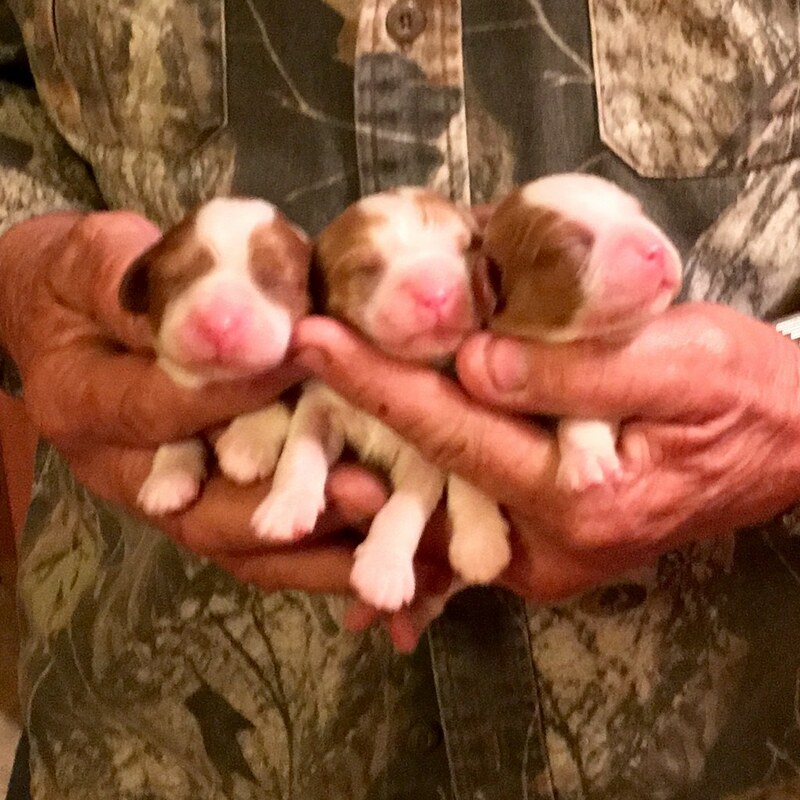 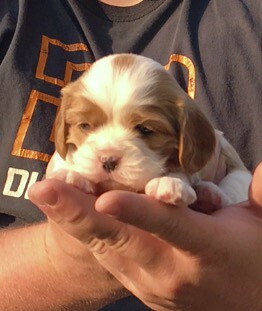 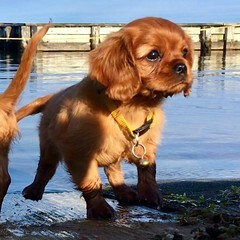 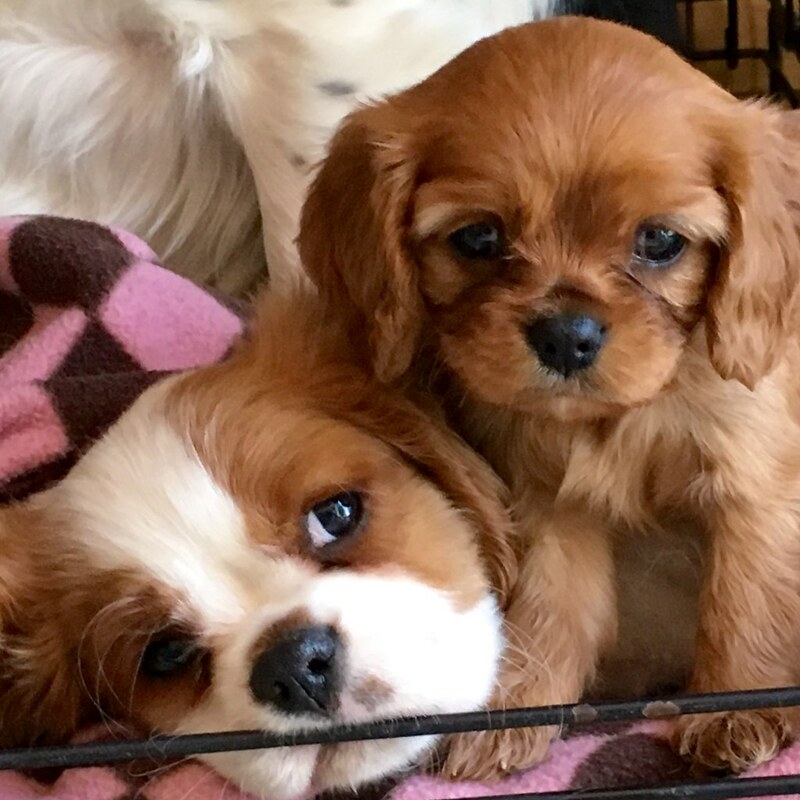 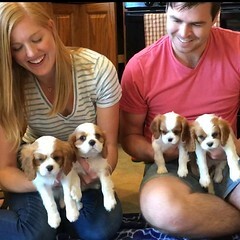 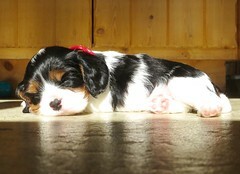 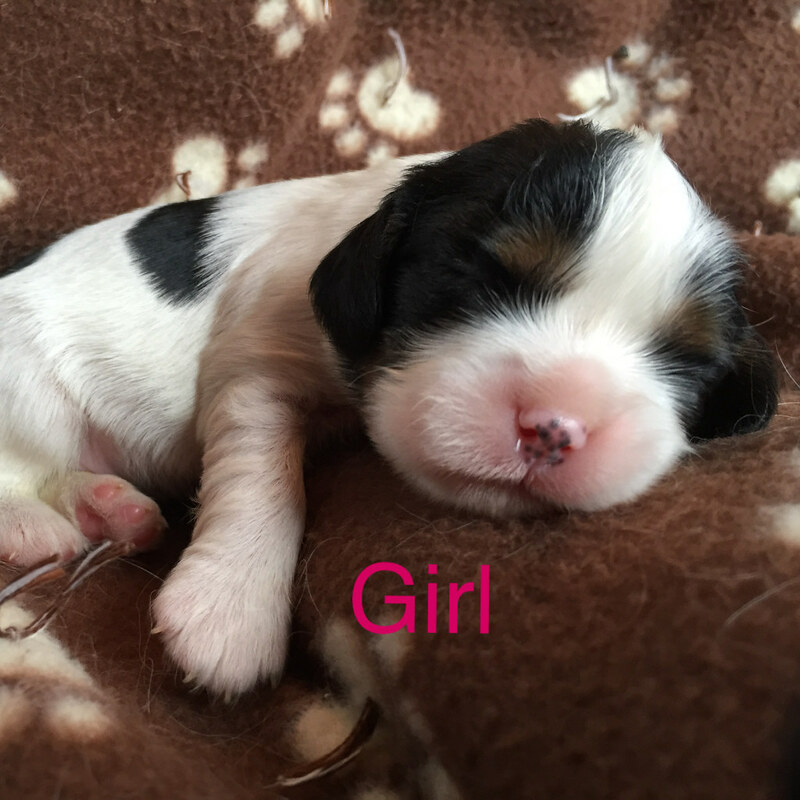 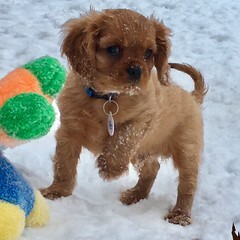 These cavalier king charles spaniel puppies will be beautiful!!! 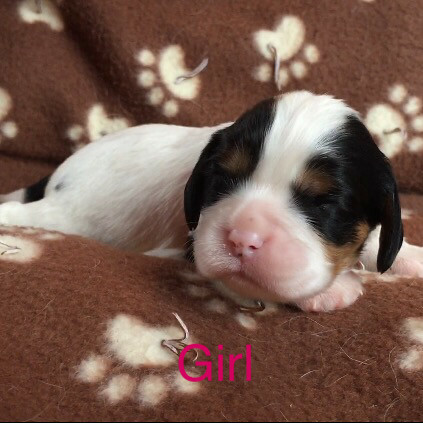 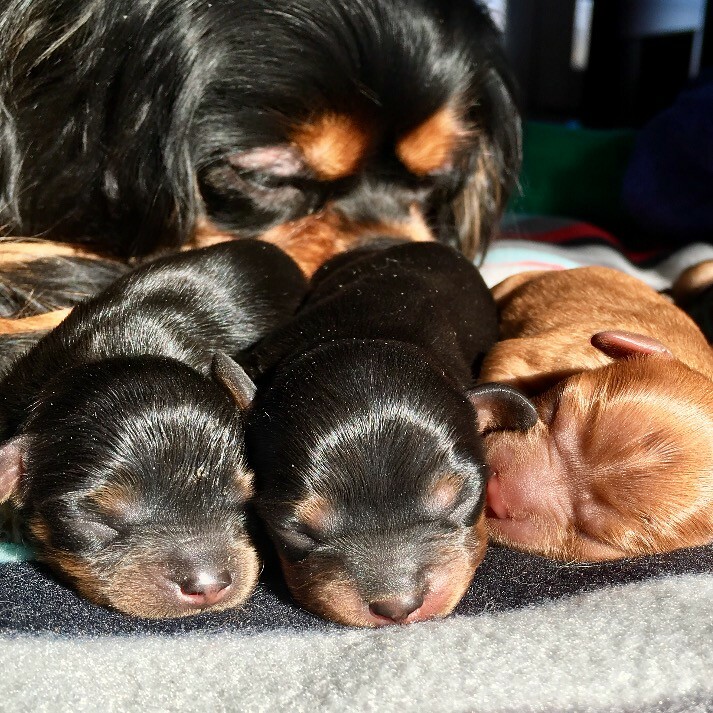 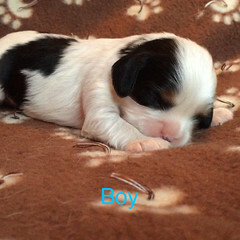 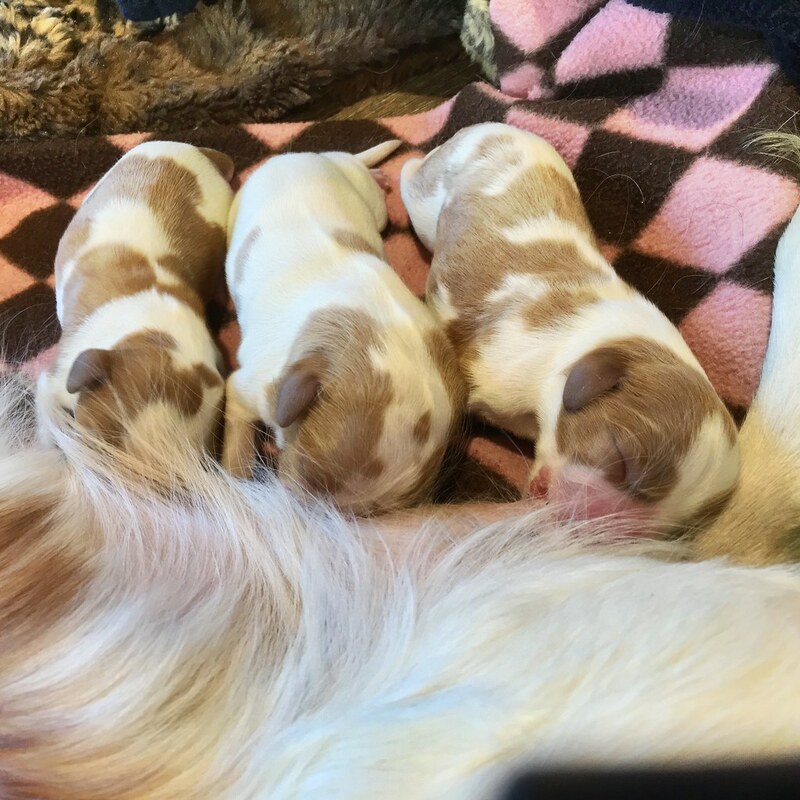 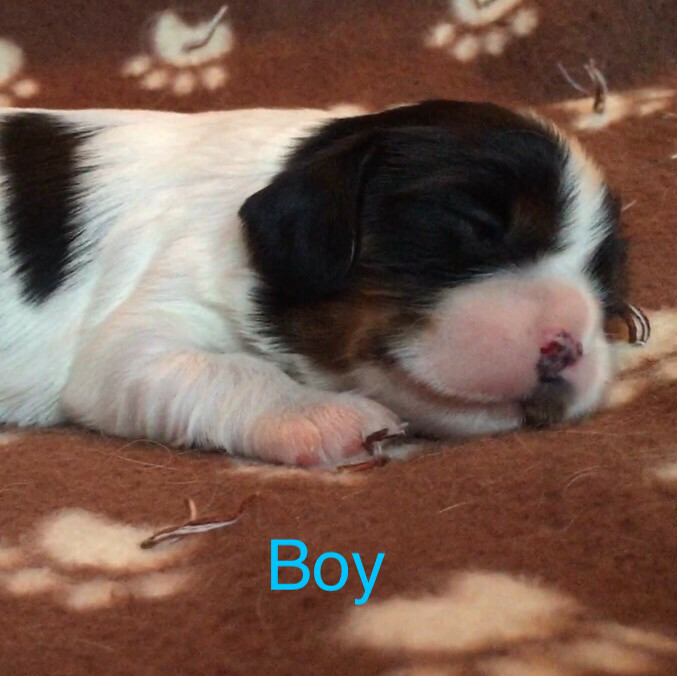 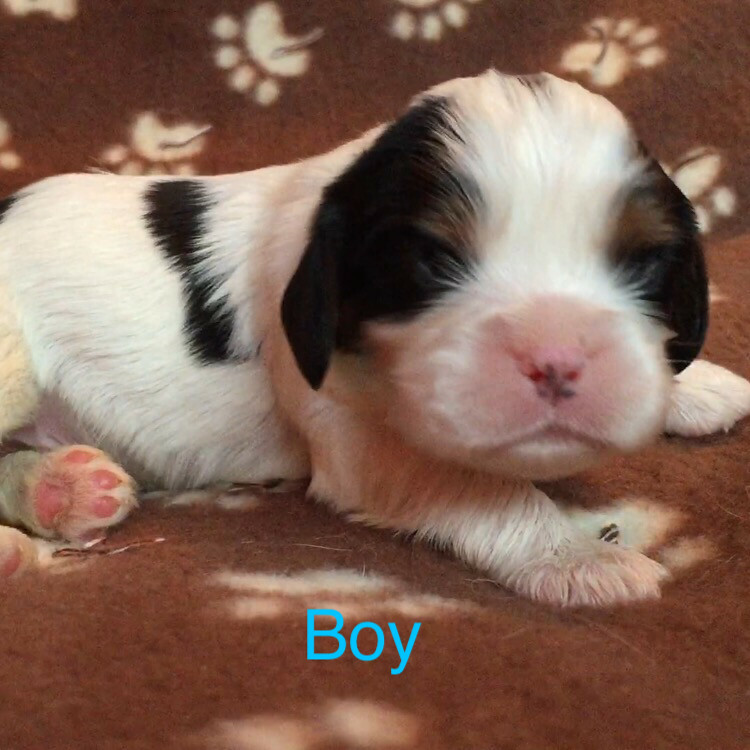 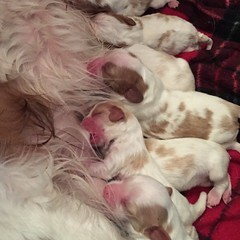 Currently we have a full waiting list for our puppies, if you are interested contact us and we can let you know when our next available litter is due. 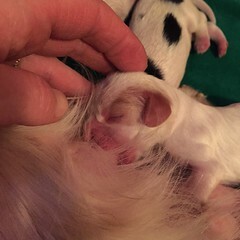 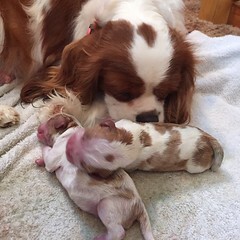 We are looking forward to these litters. 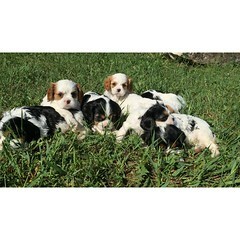 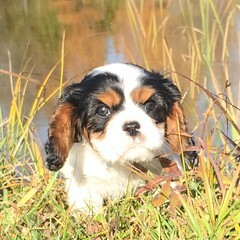 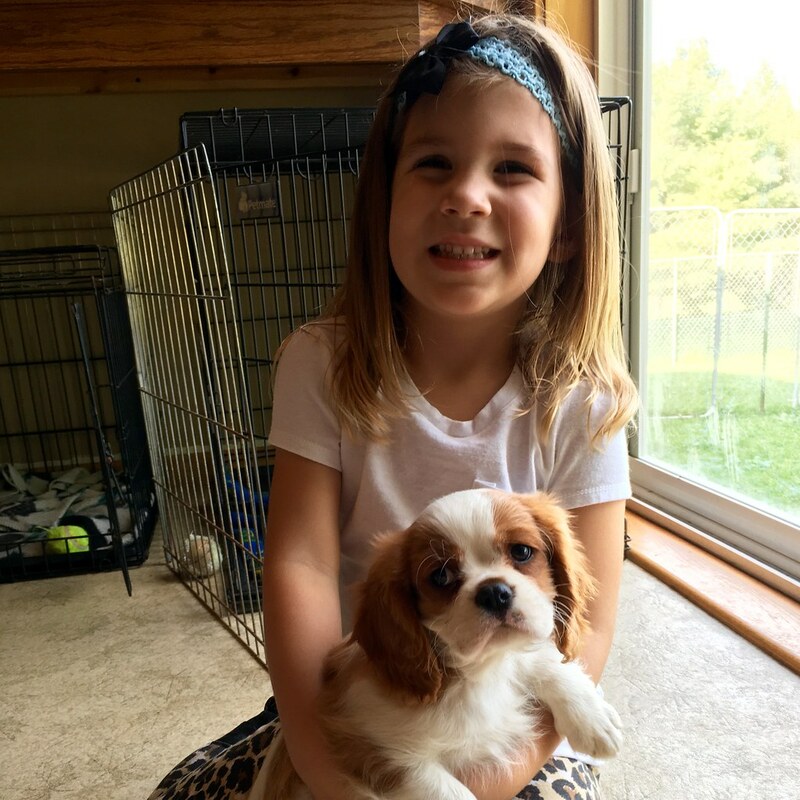 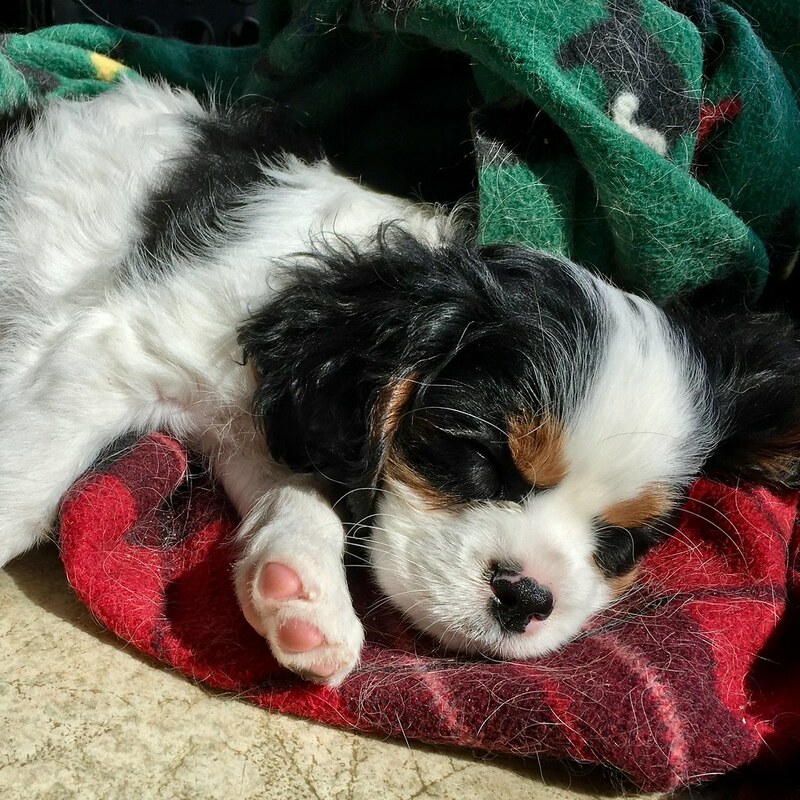 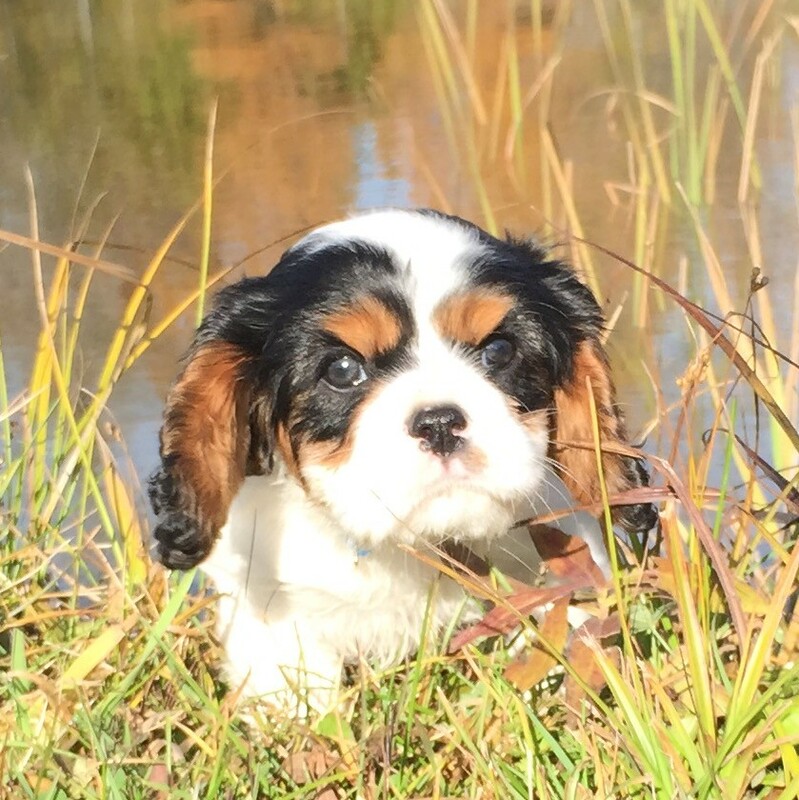 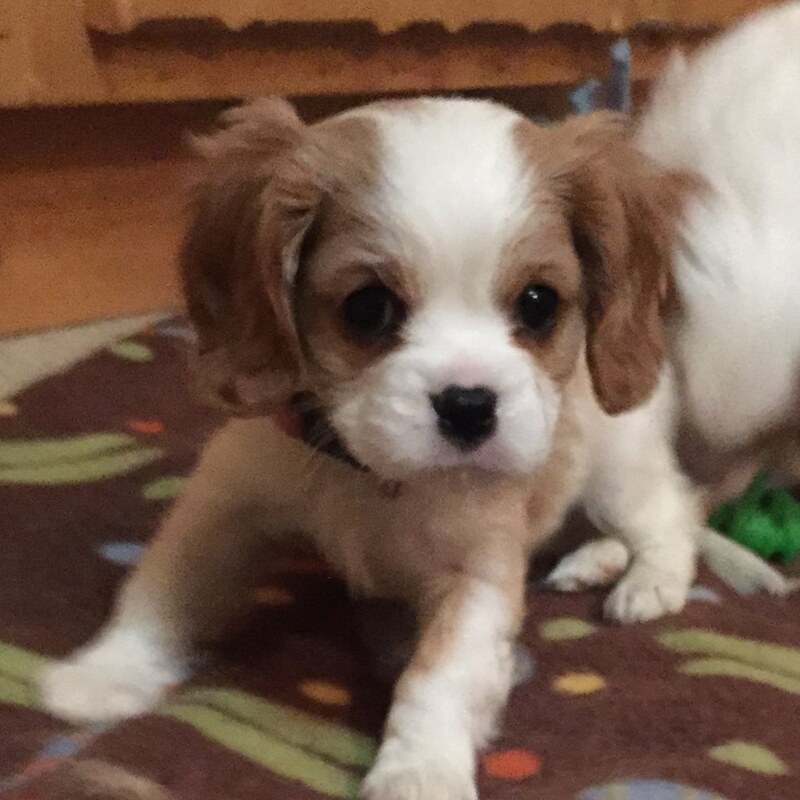 If you have any questions about these Cavaliers King Charles Spaniel feel free to call. As of January 2011 All of our breeding dogs are health certified for Heart, Eyes and Hips. 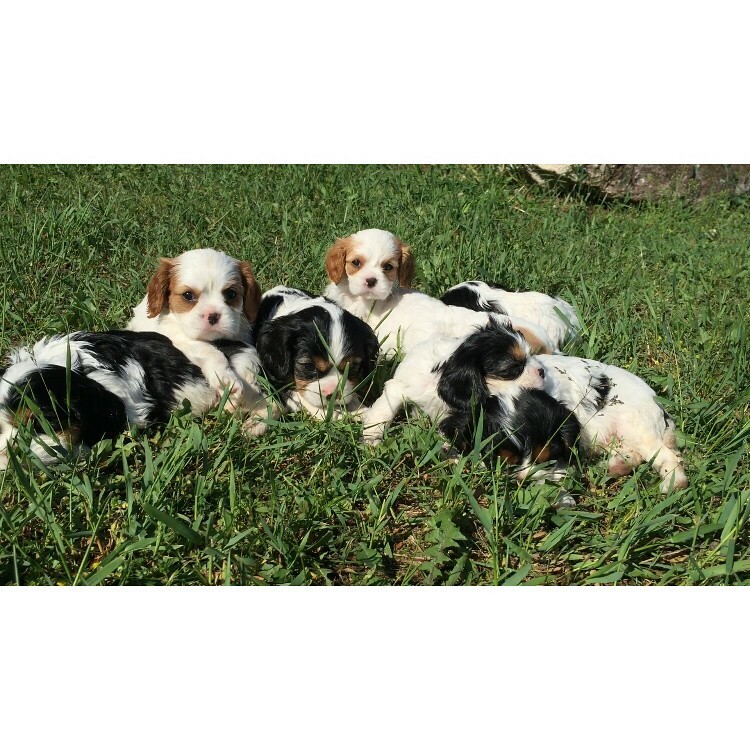 We have studied their pedigrees carefully to ensure pure bloodlines of any interbreeding. For generations our lines are clear of any genetic health problems. 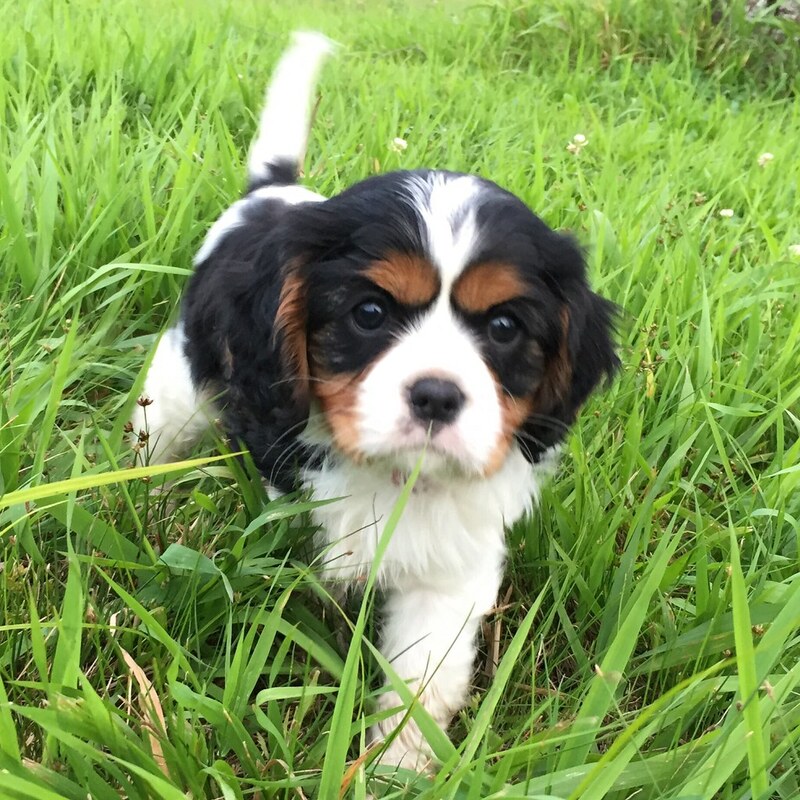 It is our mission to raise you a healthy, very socialized puppy that will be with your family for a long time. 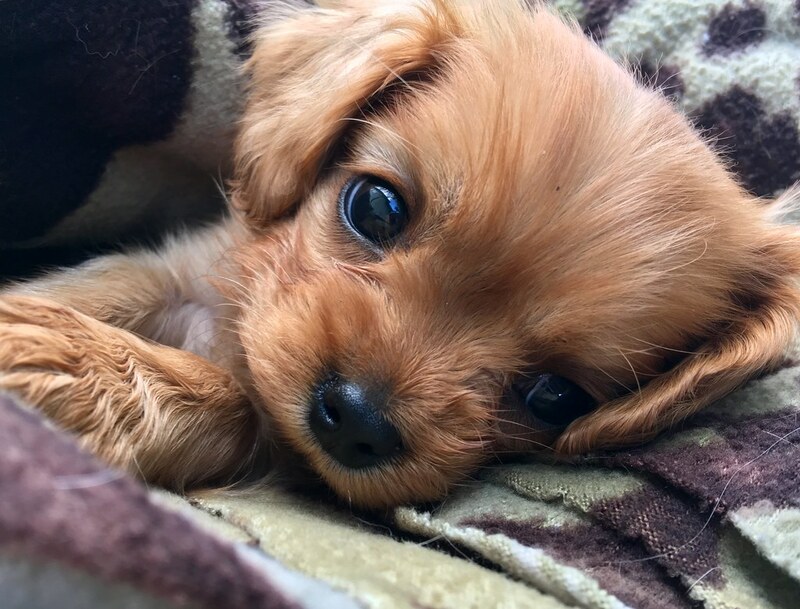 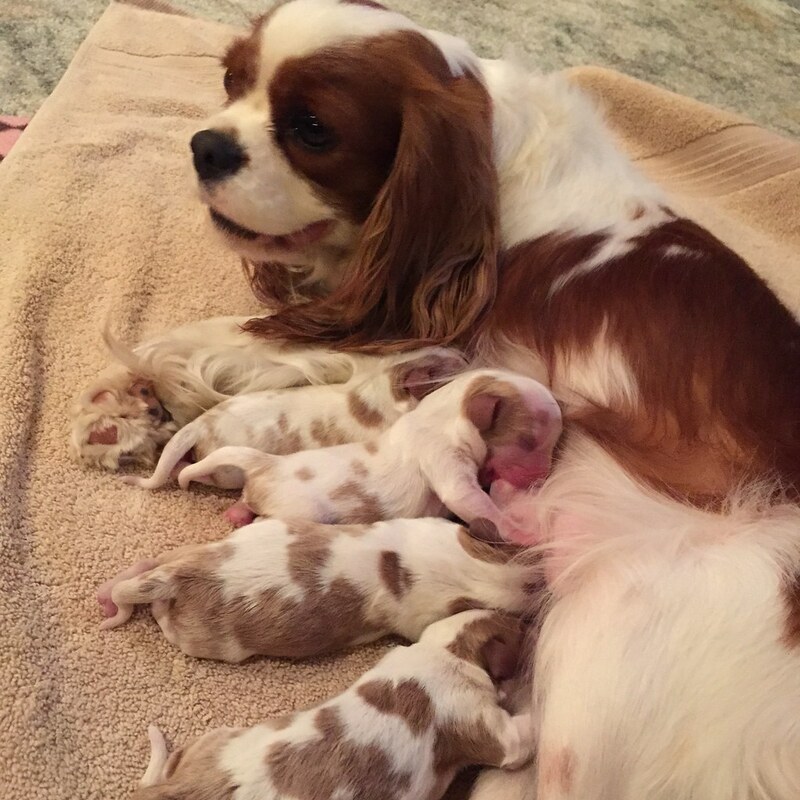 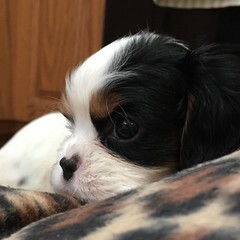 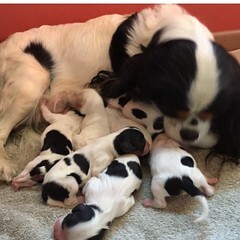 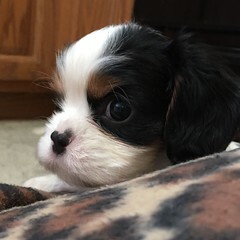 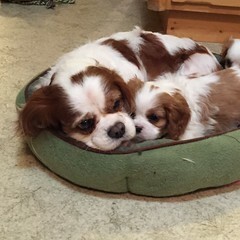 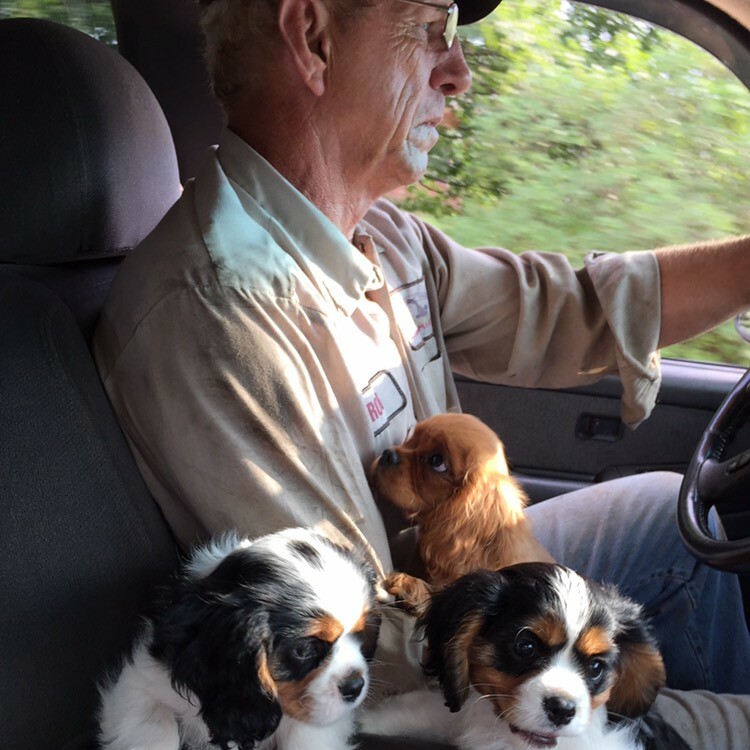 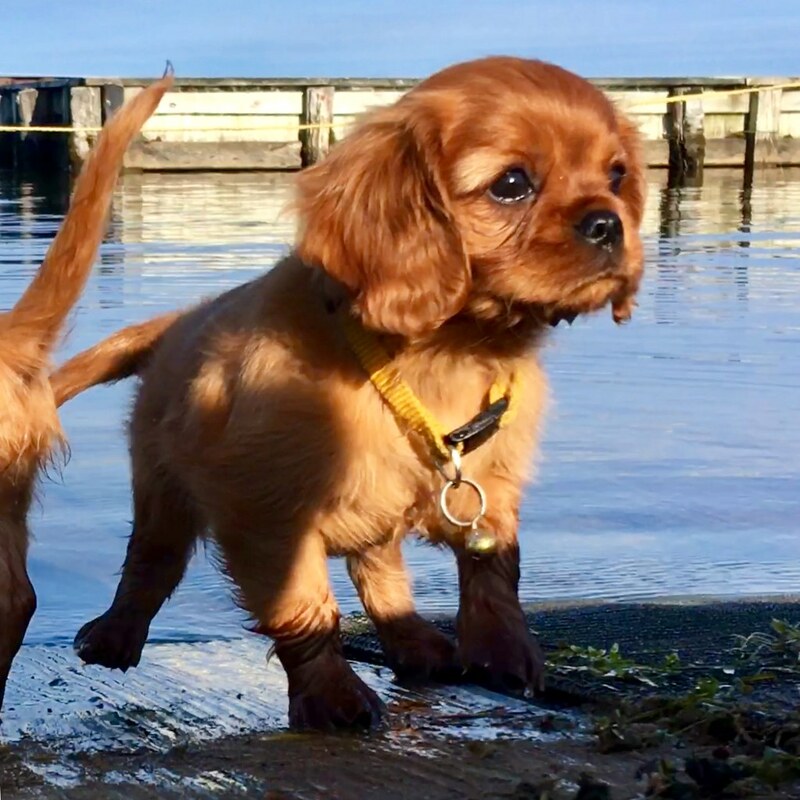 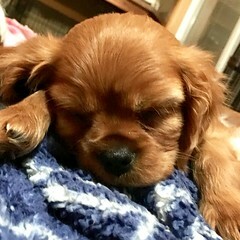 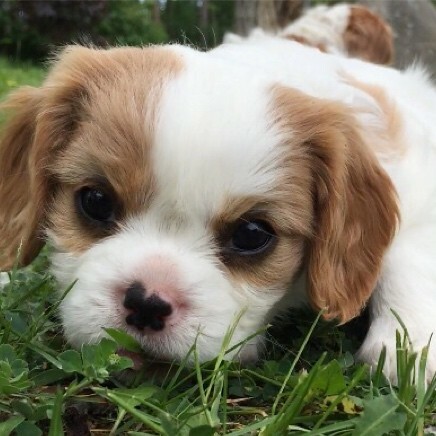 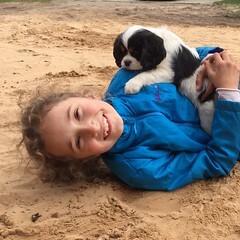 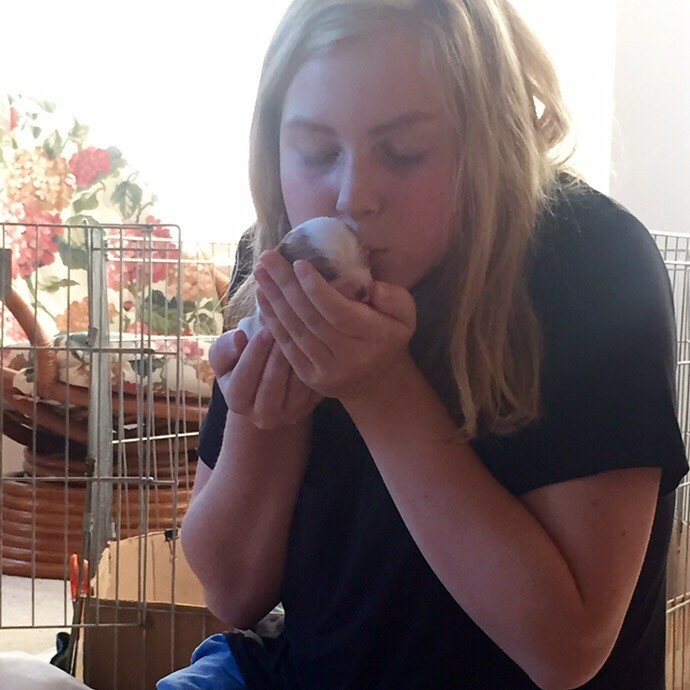 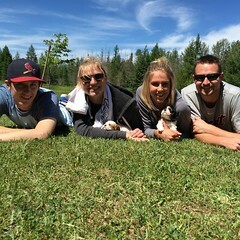 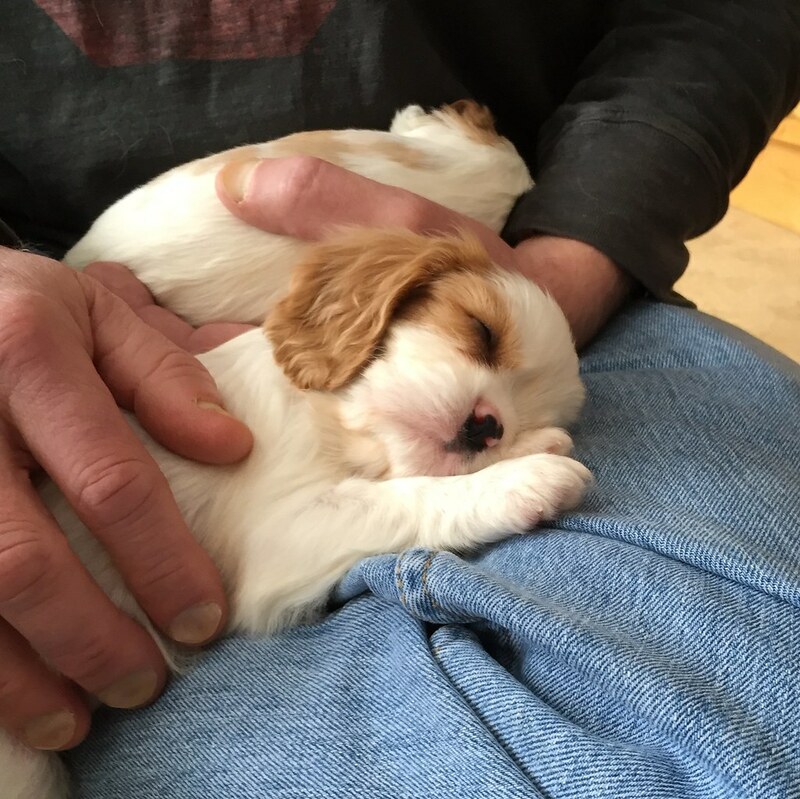 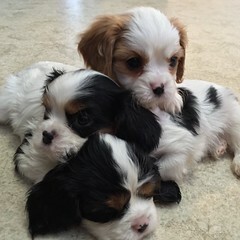 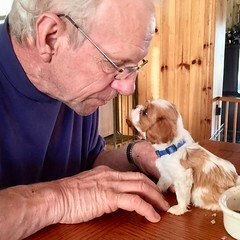 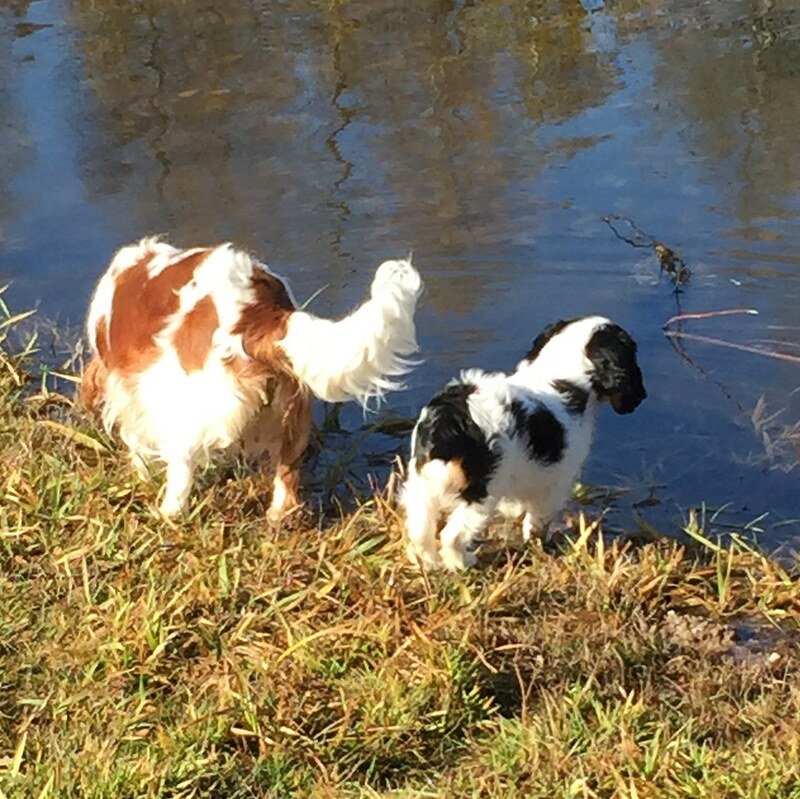 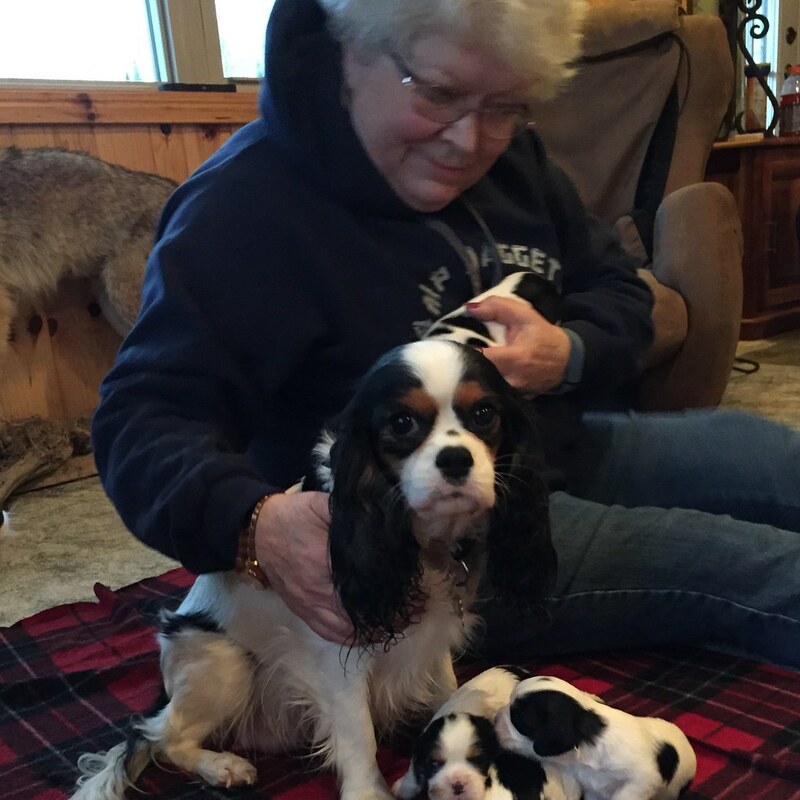 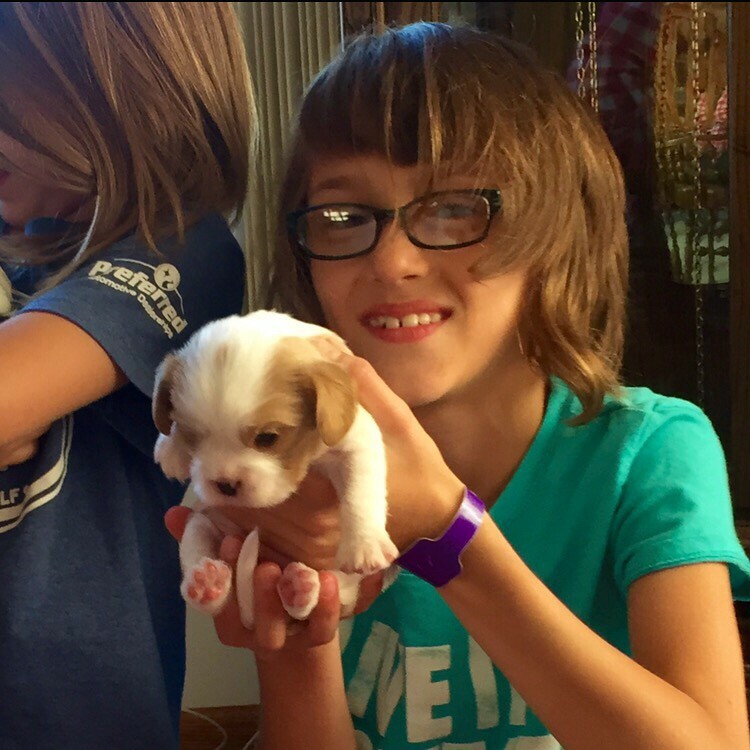 Our cavaliers and their puppies are very much a part of our family. When you consider the cavalier breed, you will always enjoy the love they so graciously give. 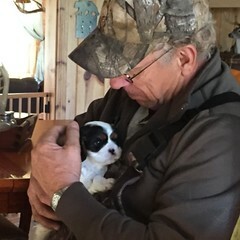 A most loyal and loving breed. For a copy of our sales agreement click here.